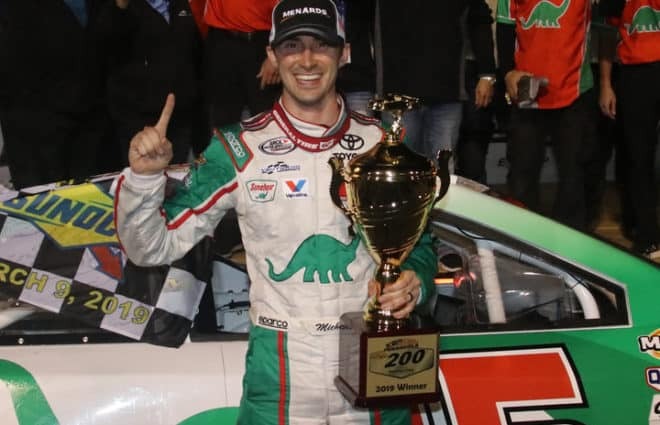 After finishing outside the top 10 in his last three short track starts, the last place Michael Self wanted to have to rebound from a disastrous season opener at Daytona was another short track. 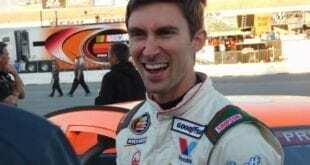 But 200 laps later, Self’s proclamation of “sucking at short track racing” proved false, as Venturini Motorsports’ No. 25 pulled into victory lane at Five Flags Speedway, taking the trophy in ARCA’s first visit to Five Flags since 1996. For Self, the win is the fourth of his ARCA career, and for Venturini Motorsports, it’s the first win for their flagship car since Christopher Bell won at Chicagoland in 2017. Ty Gibbs, Christian Eckes, polesitter Chandler Smith and Corey Heim rounded out the top five. Saturday night’s race was decided following a debris caution with around 40 laps to go; the yellow saw the leaders all come to pit road to take tires after a nearly 70 lap green flag run. While the majority of the leaders took four tires, Kaden Honeycutt’s No. 38 team took two and won the race off pit road. They proved unable to hold for long, however, on the abrasive Florida asphalt, as Self blew by Honeycutt around lap 173 and never looked back. The final run of the race derailed a strong performance by Canadian driver Raphaël Lessard, whose No. 19 car proved unstoppable on the long run throughout the event. The car did not showcase the same speed on restarts, and Lessard was unable to work back through traffic after the final restart inside of 35 to go. 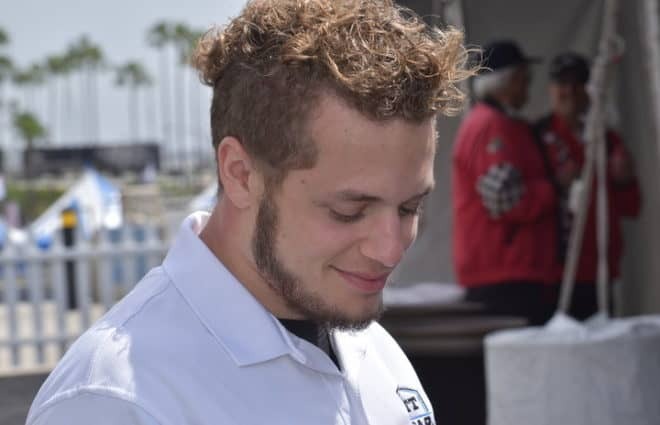 The only driver to score top 10 finishes in each of the first two ARCA races of 2019, Eckes will lead the ARCA point standings for the next month, until the series returns to action at Salem. With last year’s powerhouse MDM Motorsports organization nowhere to be found, Venturini Motorsports returned to dominance in ARCA’s return to Florida short tracking. 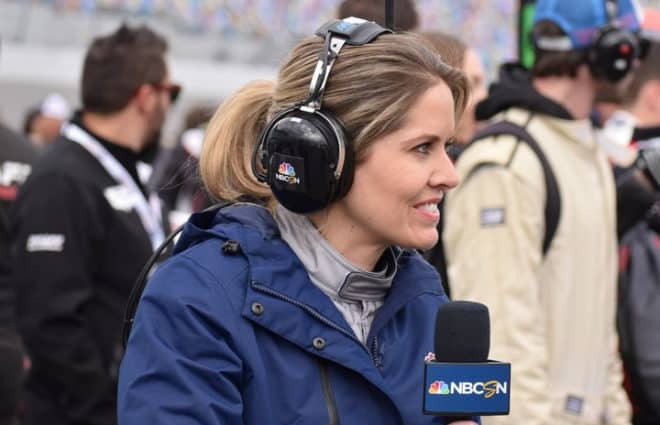 For Self, winning on a short track ended a downward slide in performance that the driver found himself in to close the 2018 season, and put what’s expected to be a championship-contending season back on track after an early wreck at Daytona. Considering the trouble Self had in ARCA’s last race on an abrasive short track (he hit everything but the pace car in the fall Salem race), Saturday’s performance was a notable improvement. And timely, seeing as the series’ next race is at Salem. Eckes also appears primed to defend his win in last season’s spring Salem race after rebounding from a lap down to finish third. 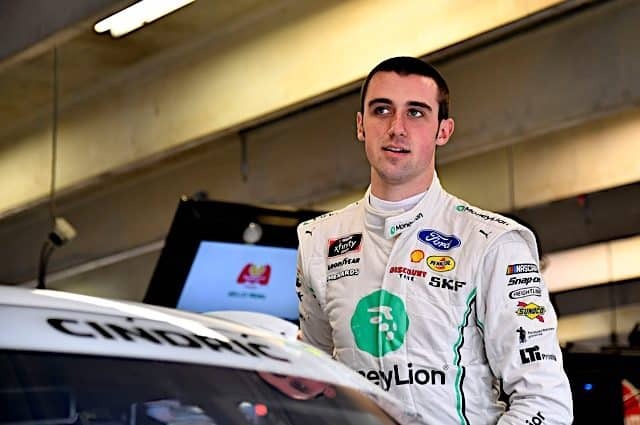 Eckes on multiple occasions in 2018 proved able to conserve tires and rebound late in short track races, but did benefit from a timely debris caution around lap 83 that gave the team a needed lucky dog to get back on the lead lap. So far, points racing is coming naturally to the teenager. Lastly, though it wasn’t the same dominance that the No. 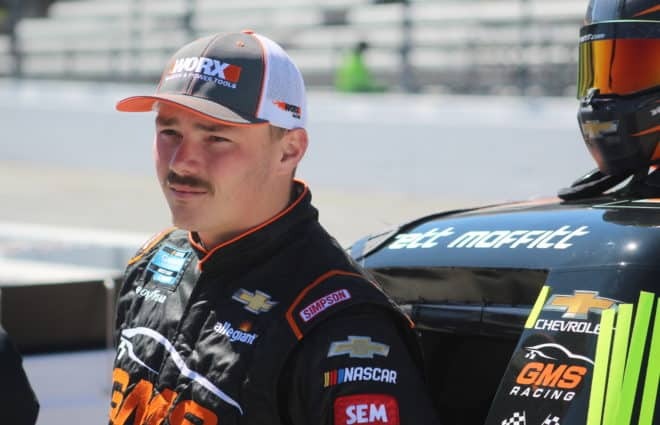 20 showed in most short track races in 2018, Chandler Smith won his fifth career pole and scored his 10th career top 10 finish in 10 short track ARCA starts. The strongest performance of Saturday’s race goes to the runner-up finisher. Gibbs, fresh off a runner-up finish in the K&N East Series opener at New Smyrna last month, spoiled the Venturini party up front and was running down the leader in the closing laps despite making a mistake with the clutch on pit road that cost the team track position (and in a welcome display of maturity, Gibbs owned up to his mistake in his post-race interview). Most telling, in finishing second, Gibbs delivered the best finish on a short track that Joe Gibbs Racing has scored since forming the No. 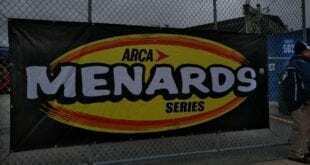 18 ARCA team back in 2017. Family name or not, the Coach’s grandson clearly belongs on the track at this level. Heim finished fourth in his ARCA debut, scoring the best finish for Chad Bryant Racing’s No. 22 car since Salem last April. Bret Holmes finished sixth, his best short track finish since Toledo last May. January’s Speedfest super late model winner Connor Okrzesik finished seventh in his ARCA debut. Joe Graf Jr. finished multiple laps down in the 11th position Saturday night, with no damage observable on the race car and nothing from the team’s Twitter feed to suggest mechanical woes were at work. 11th may not look bad on paper, but given the prowess of Chad Bryant Racing it’s not a desirable result. Graf has not scored a top 10 in an ARCA race since his controversial win at Berlin last August. Sam Mayer failed to finish Saturday’s race after bowing out late with fuel pressure issues. Fuel pressure issues also derailed Carson Hocevar’s race early in the evening. And speaking of Hocevar, the most disappointing result of the night had to go to his teammate Lessard, who likely would have won Saturday’s race if not for a debris caution around lap 159. Lessard proved to be untouchable on long runs, taking the lead from Venturini entries Smith and Self under green flag conditions. Running a second car for the KBR team, however, Lessard lost ground on pit road each time he stopped, and reported post-race that the No. 19 car got inexplicably tight after the team changed four tires under the lap 159 yellow. Lessard still finished on the lead lap in eighth, but this team and driver deserved far more for their efforts. As I was not in the grandstands for Saturday’s race, it is very possible that MAVTV just didn’t show what brought out the two yellow flags of the evening (both were for debris). But the reality is debris cautions played a major role in dictating the outcome of Saturday’s race. The first debris caution around lap 83 literally saved a championship contender in Eckes from being trapped a lap down, as leader Lessard had more lead lap cars in his sights. And the final yellow around lap 159 triggered pit stops that cost Lessard ground and handed the lead to Honeycutt and Self, who waged their own battle for the win. I’ll defer to those who were at 5 Flags to weigh in on whether these debris cautions were necessary stoppages. If they were, it’s still ugly to see such a dominant long-run car lose a race for litter. If they weren’t, well, ARCA is a NASCAR property now. Given that reality, it’s imperative that their broadcast partners show the cause of a caution, and its resolution. Sitting down to watch this race, I’ll admit that I had a brain sputter when I saw Brad Smith on the starting grid with a steel-bodied race car, for a moment thinking 2019 was the year that ARCA went exclusively to composite-bodied cars. A quick check of the ARCA rule book, and I was reminded that the steel body is still eligible on paved tracks shorter than 3/4 of a mile. The significance here? ARCA’s rule book was readily available online, even for a non-competitor like myself. Here’s hoping new ownership doesn’t change that. 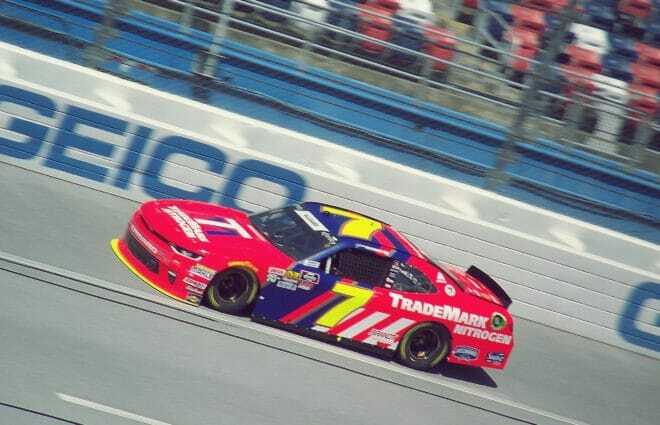 Though Venturini Motorsports has opened the season two for two, it was encouraging to see the KBR Development Chevrolet of Lessard give their potent Toyotas everything they could handle. After a 2018 season that saw Toyota win 18 of 20 races, some manufacturer parity is sorely needed in ARCA racing. Though it wasn’t perfect (pit reporter Derek Pernesiglio had audio issues for much of the evening and numerous drivers went without serious updates, despite the field only having 20 cars), MAVTV’s broadcast of this event was much smoother and comprehensive than seen in 2018. It’s a real game changer to have all ARCA races available to view in broadcast quality. Was supposed to be on MAV but they showed a dirt race from 2018 instead. I kind of remember when MAV was available for a short time there were problems with what was supposed to be on and what was. There were wrong events on and time over-runs. I couldn’t PVR events.